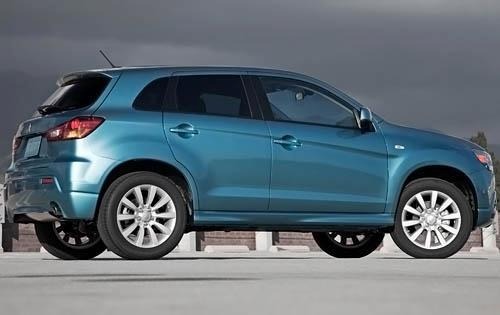 Affected by this week’s recall are over 3,100 model year 2011 Mitsubishi Outlander Sport vehicles built between August 26, 2010 and March 29, 2011. The vehicles in question may contain panoramic sunroofs that have been installed without a necessary primer. The lack of primer may create insufficient adhesion, which may cause the glass sunroof to detach from the vehicle, according to the National Highway Traffic Safety Administration. Not surprisingly, the detached sunroof will create a road hazard for other drivers. There have been no crashes or injuries reported in relation to the issue, said Mitsubishi. The recall affects Outlander Sport vehicles sold in the United States and Puerto Rico. Mitsubishi has not provided the NHTSA with a notification schedule, but did state that it will inspect the panoramic glass to see if primer was used. If primer was not used, authorized dealers will reinstall the glass. In the meantime, Mitsubishi Outlander Sport drivers can call MMNA at 1-888-648-7820. The recall number is SR-13-007. Concerned owners may also contact the National Highway Traffic Safety Administration’s Vehicle Safety Hotline at 1-888-327-4236 or go to www.safercar.gov. The NHTSA campaign number is 13V255000. Considered relatively new in the sunroof world, panoramic sunroofs are a multi-panel roof system that offers opening above the front and rear seats. It may either be operable or fixed glass panels. Aside from Mitsubishi Outlander Spot models, panoramic roof systems have been used on Mini Cooper, Scion tC, Mercedes C Class, Volkswagen Eos, Porsche Cayenne, and Hyundai Veloster vehicles. Similar to the Outlander Sport recall, Hyundai has recalled nearly 20,000 model year 2012 Veloster hatchbacks due to panoramic sunroof flaw over the past year. In Hyundai’s case, the affected Veloster models were equipped with panoramic sunroofs that may have been weakened during the manufacturing process. As a result, the panoramic glass may break while the vehicle is in motion. Click HERE and HERE to read Torque News’ in-depth coverage of the Hyundai Veloster recall.